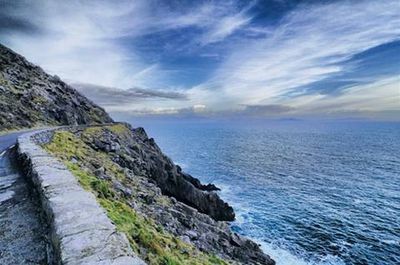 “This is a great time of year to discover Ireland’s new scenic drive, combining dramatic seascapes with autumn colour,” says Irish Ferries head of passenger sales Dermot Merrigan. The holiday starts with a day-time ferry crossing from Holyhead into Dublin, or Pembroke into Rosslare and an overnight in a local hotel before driving to County Kerry’s Parknasilla Resort & Spa for a three-night stay. This is a great spot from which to explore the Dingle peninsula, the Blasket Islands and amazing beaches such as Rossbeigh’s seven mile stretch. A short drive inland through the mountains brings travellers to the woods and lakes of the Killarney National Park. Moving on to Bantry Bay in County Cork, the Eccles Hotel in Glengarriff is an ideal base (three nights) from which to discover Dursey Island – reached by Ireland’s only cable car – and Mizen Head, where the Fastnet lighthouse guards the treacherous Atlantic approaches. A night beside the sea at the Garryvoe Hotel in Castlemartyr before checking out Cork City, and a final night back in Wexford (or Dublin) before catching the ferry home completes a package that includes return ferry crossings for a car and nine nights’ bed and breakfast accommodation at hotels. The price is per person based on two sharing.